If you are interested in some type of computer monitoring software, but think using it would be too complicated, Mobistealth is for you. Users can easily install this device on Windows PCs and tablets as well as mobile devices to monitor any activity. Teachers will enjoy not worrying if their students are actually working or if they are surfing the web or chatting with friends. By simply letting the students know that the software is in use, most will stay out of trouble and stay on task. Of course, teachers do not have to let the students know that the software is in use, and deliver consequences as necessary. Employers may choose to use Mobistealth to ensure that all of their employees are working and using the company’s resources for activities that generate income. The software helps create a safe work environment for all employees, as well as minimizing other problems. Parents can rest a little easier by using this software on their child’s computer, or even their phone to make sure that they are behaving appropriately. You can’t control every aspect of your child’s life, but you can ensure that they are safe while they are on the computer. After installation, the software begins working immediately. The installer has an account that displays all of the information recorded for easy access. The account is available anytime from any device with an internet connection. To learn more about how it works, check out the mobistealth review site. 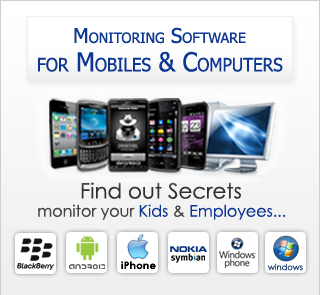 The Mobistealth computer monitoring software is full of features that make the software even more attractive. The price is right, at as little as 50 cents a day. Keystroke Logging: All keystrokes that are typed on the Windows PCs and tablets are logged and stored in the installer’s user account. Email Logging: Easily review all email received and sent to Hotmail, Gmail, and Yahoo Mail addresses. Skype Recording: In addition to text chat logging, the software records Skype calls. Surroundings Recording: Stealthily records conversation and sounds that surround the computer on which the software is installed. Screen Shots: Sometimes, keylogging alone will not provide much information. Keylogging combined with screenshots, however, will tell a full picture. Each time the screen image changes, a screenshot documents the sites viewed, the programs and applications that are used, and email or chat partners. User Pictures: The excuse, “it wasn’t me” will not work again thanks to this impressive feature that takes a picture of the user and the location of the computer. This is a great feature for users who share the same computer. Real Time Location Reporting: Instantly know where the computer and the user are located with accurate location reporting. Your job as a parent, teacher, or employer just got a bit easier. Mobistealth is an advanced computer monitoring software that works to provide the answers that are needed.